Hip-hop stoners Cypress Hill have been teasing the arrival of their new album Elephants on Acid for a while now, but we’ve finally got all the pertinent details, as well as our first taste of the LP. Elephants on Acid will arrive on September 28 BMG. The album marks Cypress Hill’s first LP in nearly a decade, with their last full-length being 2010’s Rise Up. It also marks the group’s first effort to be entirely produced by DJ Muggs since 2001. As Muggs explained in a new interview with Rolling Stone, the album is inspired by rock’n’roll, specially of the acid variety. Apparently, this led Cypress Hill to use guitars, organs, flute and even sitar on the album. “Band of Gypsies” was recorded during sessions in Egypt, where the group worked with a variety of local musicians. Up above, you can see the album’s psychedelic-styled album art and the tracklist below. 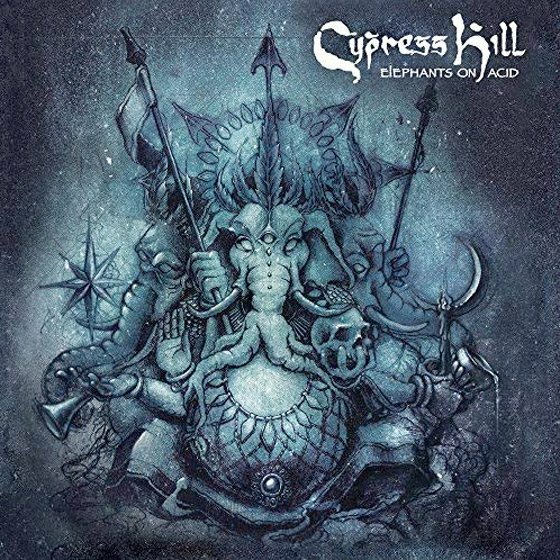 The album closes with a track called “Stairway to Heaven,” but it is unclear if it’s a cover of the Led Zeppelin classic or an original Cypress Hill track. Cypress Hill have several tour dates booked in support of the new album, and you can see all those here.